This chapter provides detailed information on three important YaSM concepts (or principles) which are used in many YaSM processes. 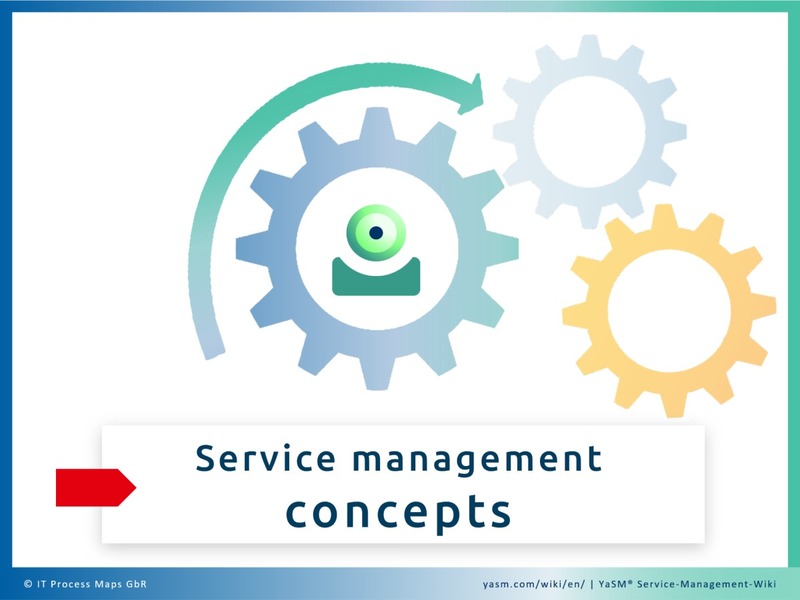 Understanding these service management concepts will be helpful for understanding how YaSM and the YaSM processes work. Every service provider needs a precise understanding of the services it provides and the interdependencies between those services - otherwise it will be very difficult to manage those services. In this respect, YaSM is aligned with the most widely used service management frameworks and recommends maintaining a service portfolio that provides a complete overview of all services, and possibly one or several service catalogs for the customers. The detailed service properties are documented in service definitions. Services in the service portfolio may be "customer services" (services offered to customers) or "supporting services" (services visible only inside the service provider organization which are used as building blocks for the customer services). For example, if a service provider offers a "web site hosting" service to its clients, this customer service will often be based on a number of internal supporting services, such as "network infrastructure management service", "server management service", etc. Ultimately, the service provider must deliver the customer services as agreed with the customers. Since the customer services are based on supporting services, this can only work if the supporting services are aligned with the requirements of the customer services and delivered as specified. Define and agree with the owners of the internal supporting services what is to be delivered; this includes specifying the properties of the supporting services in the form of service definitions, and signing operational service agreements with the internal service owners. Readers familiar with ITIL will know the service improvement plan (SIP). There is also a service improvement plan in YaSM, but YaSM extends the concept and recommends to maintain similar plans for organizing other kinds of work and initiatives, e.g. a process improvement plan to manage process improvement initiatives, a security improvement plan to manage security improvement initiatives, etc. This page was last edited on 28 March 2019, at 19:37.